I wanted to live blog my radio interview but I couldn’t I have to admit. I’ll post it when it goes live. Promise. It was fun. 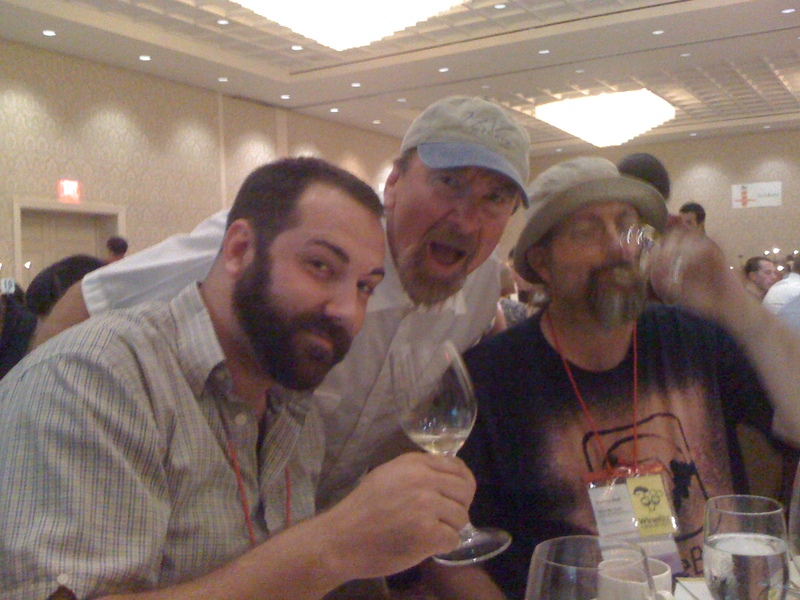 Here’s a photo of the Wine Biz radio guys. I sat with at the Saturday night dinner. And that’s all I’m gonna admit to!